Mobile application development has changed the way entrepreneurs function. 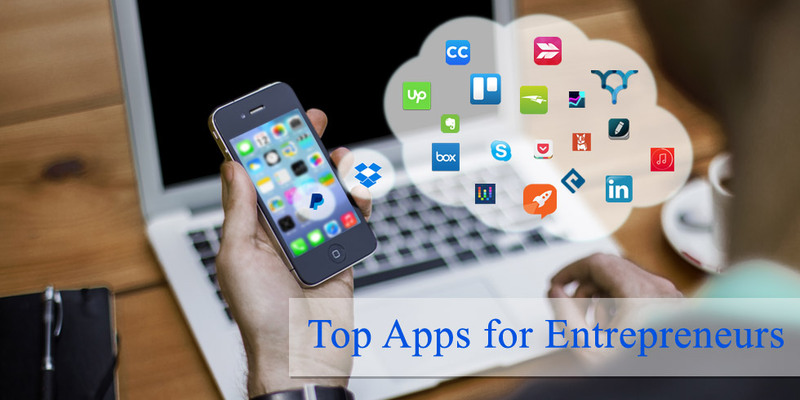 From delegating tasks to crowd sourcing and analytics, these apps have simplified many of the challenges that entrepreneurs face. If you are planning to walk the entrepreneurial path, here are 20 must-have apps for you. A great cloud based app, it allows you to share your photos, videos and documents across different devices and sync them. Entrepreneurs just love the ease with which they can make and receive payments from across the shore using this app. As a start-up you would have tons of information that needs to be organized. You can now sync your notes across devices using this app. Among the top business apps it allows you to connect with your customers via VoIP and video-conferencing just about anywhere. Good communication is essential for your image and reputation. Use Draft to make your communication professional. Want to keep track of your competition in a data based environment, this app would offer you deep insights into what’s happening around. To grow your business you need clients, vendors and partners and you can find them all in LinkedIn, the social network for the business community. If time management is becoming a challenge, this app would help you do it beautifully and increase productivity. This app simplifies syncing and storage and lets you access all your data and presentations anywhere and anytime. If you constantly need to share screenshots with clients and partners, this app would make it a cakewalk. Many entrepreneurs lose money due to poor invoicing practices and this app just allows you to do it smoothly. You need to work as a team with others. This app allows you to collaborate with your team members seamlessly. If you are finding it difficult to delegate tasks and keep track of their progress, this app eases your job and also keeps your workers motivated. Digitize all the business cards you receive when you meet clients and update them into your contact list immediately. If you want to hire freelancers for a project, there is no other app that would offer you as many connections. It is a great bookmarking app that allows you to save different kinds of content for future read on your device. This complements your desktop analytics tool and offers you insights on your website on the go. If you are running social media campaigns to promote your business this app allows you to keep track of their progress. These apps can aid in your journey as entrepreneur and may help you get an edge past your rivals. But if you are looking forward to developing a niche app for your business, you need a seasoned mobile development company such as Semaphore Software. We would love to be a part of your exciting entrepreneurial journey. Write to at info@semaphore-software.com to know more.